When it comes to marketing, getting the eyes and ears of the customer is the name of the game. The desire in marketing is that after a company establishes the pricing and placement of its product, that they use their promotions efforts to enter the consciousness of the consumer. In that game, cost effectiveness is the name of it. Having a giant marketing budget certainly puts many companies in a position of strength. The more we can deliver our message to, the better chance we have of making a sale – or millions of sales. But, as companies have long competed for eyeballs, they have always sought new and innovative ideas for reaching people. As the marketplace has evolved, and the economic turns have affected companies, the need for scrutinizing marketing dollars has become even more of a necessity. In a world where marketing budgets seem to regularly get trimmed back, the need for cheaper modes of promotions become more than desirable, they become vital. 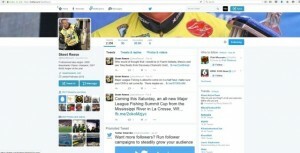 The “new” trend of today’s business is to utilize several of the social network platforms out there to try and market. I say new to be somewhat facetious, because while many consumers have long been on social media for enjoyment and communication, the industry is just now getting around to targeting those platforms. However, in a move that is typical of big business, companies have begun to over-utilize the platforms, over deliver their message in too strong of a manner, and in doing so, have done the opposite of what they wanted to do. Instead of reaching their consumers and fans with fun, enjoyable campaigns, they have overanalyzed and strategized themselves into a position where the fans are tuning them out. Alternatively, while fans are tuning out the hard and direct delivery of the message, companies are now beginning to demand that their endorsers do the same thing with deliverables in their contracts that is also minimizing the effectiveness of their most useful promotions partner; the professional angler. While social media platforms such as Twitter and Facebook have been under the watchful eye of marketers for some time, only recently have they become targeted aspects of their overall marketing campaigns. The truth of the matter is that social media as it is known today began long ago in chat rooms, followed by message boards and forums. Then came MySpace, Facebook, Twitter, and now Instagram, Google+, Pintrest and the list goes on. Social media platforms have always given people an outlet to feel like they are escaping from the real world and interact with people who share like minds and common interests. On one of these many web-based communities, a person could find the venue that they could discuss bass fishing, quilting, golf, motorcycling or bicycling, dating, basket weaving or underwater BB stacking for that matter. They were a place to unplug from the grind of corporate America, family or whatever a person needed a break from. I first got involved personally with the genre in the 90’s on a forum called NCBF.com, (Northern California Bass Fishing) which later evolved into the website known today as Westernbass.com. The forum there featured a lot of communication; including controversy, but the one thing that the users would not tolerate was the planted mole; someone hired by a company to infiltrate the ranks and pump up products. While there were a few who tried it, it didn’t take long to see who was pushing an agenda, and their influence on the board was minimized by other members not responding to or engaging with them. Forums were often more like the Wild West than a courtroom, however, in time and out of necessity, they became more moderated and policed due to the needs of the companies that chose to participate there as advertisers. As the user grew uncomfortable with that corporate involvement, the category has now largely left the forums and turned its attention to other more commonly used social media platforms like Facebook, Twitter and others. Industry has once again caught up with the trends. With the popularity of the “free” marketing avenues of social media, companies and corporations have begun demanding their endorsers to produce product specific content for use on their social media platforms. I recently saw a screenshot of a clause in an angler’s contract for a sponsor that required him to run a video per month for each brand logo he wore. In that particular case, the angler wore three logos for that company, which means that three days per month, his fans will get a product specific message delivered to them, a total of 36 per year. This particular angler has four more contracts that require the same type of deliverables. 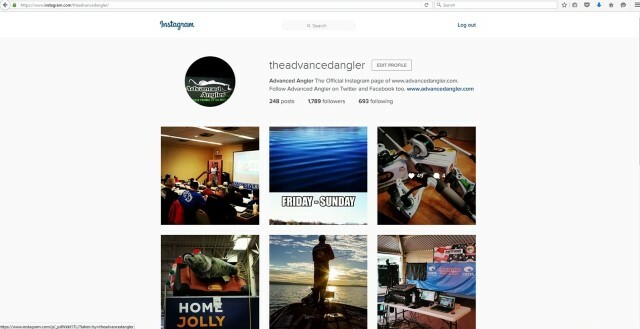 When you factor the days they spend on the water – around 150 per year – and the total number of sponsors each angler has to have in order to pay the expenses they incur on tour, two thirds of the remaining parts of their social media year will be used delivering their sponsor message to fans with a hammer blow, instead of subtly working it in. 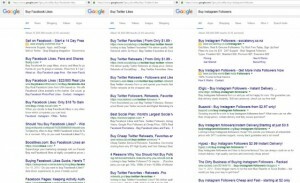 Take that necessity for an angler to generate that type of content, and the demands of the industry to see huge numbers of people met on these platforms, and people are beginning to do things to appear to have more reach than they do. Advertising and marketing are games of numbers. The more eyeballs reached for the smallest amount of investment is optimal. 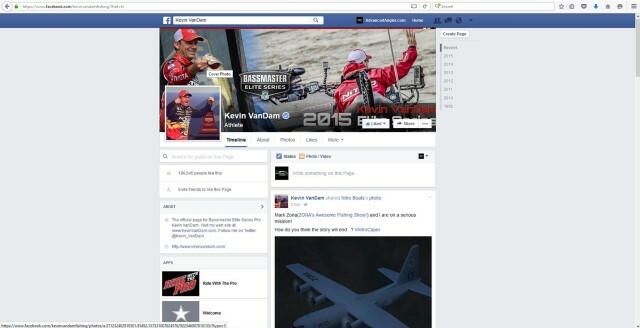 So, in an effort to please their partners and prove that they are reaching the largest possible audience, some anglers and media outlets are utilizing “like” purchasing outlets to inflate their visible numbers on their social media platforms. In other words, they are paying a fee to click farms to dramatically and quickly increase the number of fans on their social media platforms. While the appearance is that their reach is increased, in actuality they have received false likes from a company who has either hacked into real people’s accounts or created fake profiles to utilize in the process. 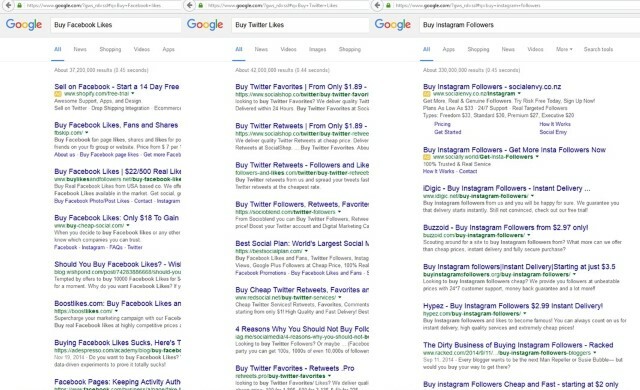 A simple Google Search will show that you can do this for little cost. You used to be able to see where the likes yours or another page were coming from, but Facebook has since removed the ability to see that information. In the case of some of the more obscure anglers and media outlets whose fan pages grew rapidly, their most often “liked cities” were places like the bass fishing hotbeds of Kuala Lumpur, Buenos Aires and Bangkok. There are even places online to purchase U.S. Likes from towns like Chicago or Houston. This practice – in order to please a sponsor base – is not that different than the old practice of printing extra copies of a publication to inflate circulation numbers in order to charge higher advertising rates, and then simply throwing them away. Neither practice is ethical, and in the case of print media, is actually illegal. Advertising has long been a part of our lives. Since the days of print magazines and newspapers, advertisers and sponsors have sought those avenues to be seen by the buying public. As each new type of promotion medium has been opened, companies have added them into their plans. As radio and television broadcast developed, the sale of their airwaves became big business. The same can be said for road signs, billboards and the list goes on. The general public is bombarded with “message” every day, in fact almost every minute truthfully. We can’t open up an app on our phone without ad banners. Click on your favorite news website and a pop up ad will appear first, and don’t get me started with popups from trending websites that bury their X for closing it in a corner that manipulates us into mistakenly opening the intended target. 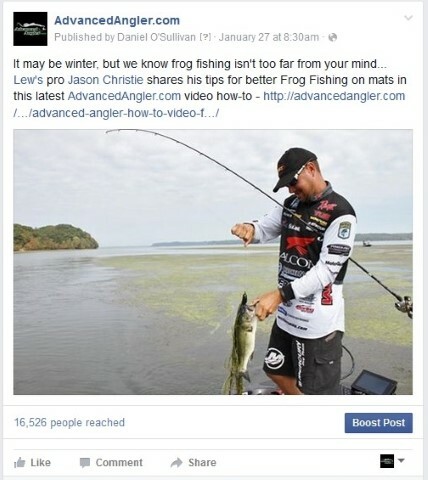 The point is this, a person doesn’t want to open up the Facebook page of their favorite professional angler and see it overtaken by “Sponsor Message.” A certain amount of it is acceptable, but by forcing our anglers to be on message in their private space is having the opposite effect than companies desire. By making an angler deliver required content on sponsor product, they are overwhelming their audience with advertising, and not fan building or educating. Instead, what fans desire is to learn how to fish better from the pros they follow on television and the Internet. They like to cheer for their favorites in competition, and will gravitate towards the products they purchase because that pro has earned their trust through years of credible performance and their personality. Fans have grown weary of the days when a public persona – in our case, anglers – stand on a stage and “thank my sponsors,” by listing them. Fans have also – because of the Internet – grown more conditioned to tuning out what is a crafted message as opposed to legitimate sharing. In effect, what we have instead created is a sense of everybody talking and nobody listening. Our industry’s approach to social media marketing has long reminded me of a scene in the movie “The Hunt for Red October.” In the scene, the submarine Captain and his crew are discussing how the Soviets were “trying to find Ramius.” One crew member said, “They’re not trying to find him, they’re running around pinging, and making so much noise they could run over my daughter’s stereo and not hear it.” Our entire industry’s approach to social media is much like that. Instead of working together, the companies are focused on spreading their message, and contractually obligating their anglers to do the same. Meanwhile, those of us in the media are using those same anglers to try and help tell a story through educational content, and trying to spread the word as well. However, very few in charge of social media at the manufacturers are seeing the work that has been done in order to share it. Instead of utilizing the educational soft sell content that is being produced by credible media, companies are so busy trying to strategize the next direct, hard sell message that they miss an opportunity to reach the fans. 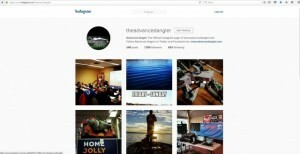 Likewise, the anglers are busily trying to get all of the contracted content work done, so that they can avoid being distracted during tournaments that they too overlook opportunities to share the work that has been done about them. All of this is being done without listening in general, but more specifically, we are not listening to the one group that matters – the fans. 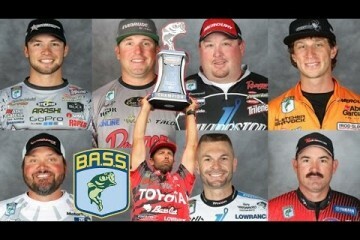 Fans in our sport want one thing more than any other, and that is to become better anglers. They are open to reading or watching anything that helps them achieve that goal; especially when it comes from the pros they look up to. If our focus is on delivering them a product message, as opposed to educating them about a technique and including the reasons why we use a product in that, then they tune us out. It’s time that we pay attention to what the public is saying, and that we make the effort together to help them get what they need from us. To many of us, fishing is a business, but if we forget that our business is dealing in helping someone else enjoy their hobby or passion, then we miss our chance to understand our customer, and circumvent our ability to communicate with them. New Ike Live Episode Sunday!